Ask any landscape photographer about the importance of filters and you might be surprised to hear the answer–for many, filters are as important as the camera or lens. Be it a polarizing filter for alleviating the harsh glare and reflections of a scene to a graduated neutral density filter designed to help even out the exposure differences of a scene–think bright sky and not as bright foreground–filters are found in any serious photography kit. For the most part, filters are relatively easy to purchase and use. Most lenses have a threaded front ring of differing size and you simply make a visit to your local photography shop, find the filter that is compatible with the thread size of the lens, pay the vendor, and off you go. Simple. But there are some limitations that might not be readily apparent. For example, let’s say you are using the graduated neutral density filter mentioned earlier. A filter like this is perfect when you are taking a picture that has a bright sky and not quite so bright foreground, the filter has a portion designed to reduce the amount of light hitting the camera sensor or film–think of sunglasses for your camera–and this darkened region gradually fades away to a clear area that is designed to allow all of the light pass through. In other words, the dark portion evens out the brightness of the scene and makes it possible to capture the darker portions of the foreground and the brighter portions of the sky in a single frame. However, limitations exist with this type of arrangement. For one thing, the graduation, in general, is roughly about the middle of the circular filter and if your composition involves, for example, two thirds of foreground and one third of sky then you will notice the dark areas of the graduated filter showing in your image as a very unnatural dark area, definitely not what we are looking for. Here is where the rectangular filter comes to the rescue as you can slide a rectangular filter up, or down, in the holder, perfectly aligning the graduation edge as you see fit. The following image is an example of that. I used a 0.6 graduated ND filter in a rectangular holder and, clearly, the sky is in the upper portion of the image but there is no visible dark line as I was able to slide the filter–and the darkened part–exactly where I needed to filter exactly what I wanted. Had I been using a circular filter a clearly visible darkened portion of the photograph would have been visible in the image starting at about halfway up, looking unnatural at best. 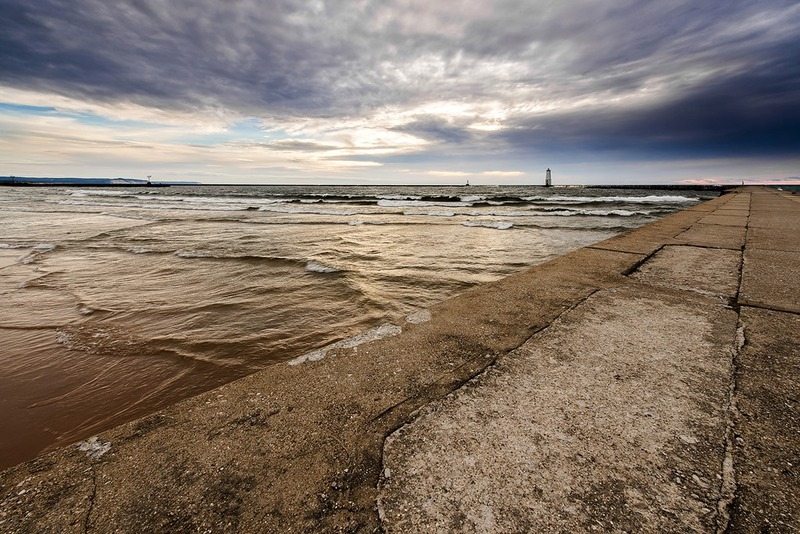 View from the Frankfort beach northern break wall, using a Formatt Hitech 0.6 grad ND filter and Lucroit filter holder system. This is one example where a rectangular filter solution is a good answer but there are instances where, for the most part, a circular filter will work just as well–up to a point. Take the example of a Ten Stop ND filter, this type of filter has no graduation and is, for all intents and purposes, a very dark piece of material, perhaps glass or special resin, with one design function and that is to reduce the amount of light reaching the film or sensor. You may have seen photographs of stationary elements in a scene with a sky full of dramatic streaked clouds or an ocean view with mystical, silky smooth water, giving the scene an almost ethereal look to it. Further, a Ten Stop filter, named because it literally provides ten ‘stops’ of light reduction, can allow the photographer to extend the exposure time even in relatively bright sunshine. An example might be a waterfall, river, or stream where the water appears to be smoothly flowing between the banks and through the scene creating a sense of calm throughout the image. Truly, the possibilities are endless. 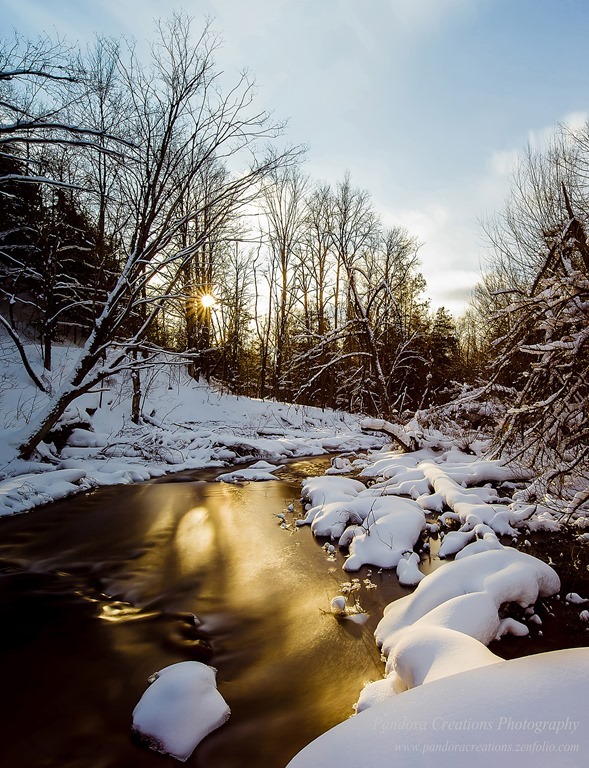 In the following photograph, a Ten Stop rectangular filter was used near sunset to extend the exposure time and smooth out the churning water flow over the rocks in the river and emphasize the lovely golden color as it was reflected from the surface of the water. Platte River image acquired with Formatt Hitech Pro Stop IR ten stop filter and Lucroit filter holder system. A circular Ten Stop filter could have produced the exact same effect, however, as the aperture is ‘stopped down’, that is, less light is let into the camera and thereby increasing the depth of field, it is often the case that vignetting will occur as the edges of the circular filter ring begin to show in the image. This is relatively easy to deal with in post processing, but you do run the risk of losing some of the scene if the vignetting is extreme. Further, if you are stacking filters–one in front of the other, a common practice–the vignetting effect becomes much more pronounced. Once again, rectangular filters do not suffer to the extent circular filters do in terms of vignetting. Even so, many photographers find circular filters to their liking over their rectangular counterparts for the simple reason that they are easy to transport and use. The circular filters are definitely easier to use, but in the case of a Ten Stop solution it quickly becomes a pain when you are in the field and must remove the filter each time you change the composition as seeing through the viewfinder with a ten stop filter attached is difficult, at best. With the rectangular solution you simply slide the filter out of the holder, setup the shot, slide the filter back in and there you go. True, you do have more hardware to deal with in the field—holder and filter—but once you are setup the transition from filtered to non-filtered and back to filtered image is very quick. Yes…and no. Yes in that rectangular filter holders have been around for quite some time and no in that there are lenses out there that not only don’t have a threaded front filter ring due to the radical nature of the front element they also present a difficulty in terms of even rectangular filter holder systems. For example, there is no way to screw on a filter of any type on lenses such as the Sigma 12-24 mm or the Nikon 14-24 mm ultra wide and rectangular filter systems, though available, have often fallen short of their intended goal with these and other ‘non filterable’ lenses. As an art form, photography is not without its innovators and it wasn’t long after the problem of how to put a filter on these crazy lenses was posed that answers began to arrive. While there are currently several solutions in this review we will be dealing exclusively with the Lucroit filter holder system coupled with rectangular filters from Formatt Hitech. Invented by a Spanish engineer who also happens to be a photographer, the Lucroit filter system is a solution for the ultra wide angle lenses that is as elegant as it is simple. It consists of an adapter ring that slides over the lens hood of the lens and then a filter holder that snaps onto this ring. Several adapter rings are available for several wide and ultra wide angle lenses and the neat part is that the filter holder itself fits any of the rings—no need to purchase a new holder for each adapter ring. Simple, elegant, and functional, the Lucroit system provides a robust and easy to use solution in the ultra wide angle filter department. The holder provides slots for up to two filters and the design is such that vignetting is practically non existent at even the smallest lens apertures. Now you have the holder, you need some filters and this is where Formatt Hitech enters the picture. Providing filters for practically any need, the Formatt filters are designed specifically for the Lucroit system. Of special note is their newly released Pro Stop IR filter, a ten stop filter designed for enhanced color neutrality. Lucroit filter system and Formatt Hitech resin filters. Again we come to the part where the rubber meets the road—how does the system perform in the field? Definitely there is more hardware to deal with as, unlike a circular filter, you aren’t going to be sliding a 165 mm filter into your pocket while composing the shot, for example, but if you are serious about your photography this is a minor issue. Well, a minor issue as long as it isn’t too windy that is. If you are like me, you are using both hands to adjust the tripod controls and camera while composing and focusing the image you wish to obtain and if you don’t find some way to keep that filter from blowing away, it just might blow away. An unfortunate consequence of thin objects in the shape of a rectangle in windy conditions but a situation easily solved by simply placing the filter beneath something to prevent the effects of wind moving your valuable investment to another, less pleasing location—such as the middle of Lake Michigan! I like to use a heavier, non scratching towel to place over the filter and then place a bit of weight on that to keep things in one place and it works just fine. Another consideration is that once the filter is in place, there is quite a bit of surface area at the end of the lens and, again, a heavy wind can have an effect but as of yet I have not noticed any detrimental effects of strong winds once the filter—or filters—are in place such as blurred images due to tripod motion as the rectangular nature of the filter can have the effect of a sail on a boat but if you are using solid gear to support your camera (and no doubt you are, aren’t you?!) wind effects will be minimal to non-existent. Installation of the system on the camera is a snap—the adapter ring has a friction fit and is place on the lens by carefully pressing around the ring in an even fashion until is in place. There are notches on the ring that are specific to the particular lens being used and these notches fit into the lower parts of the integrated lens hood. 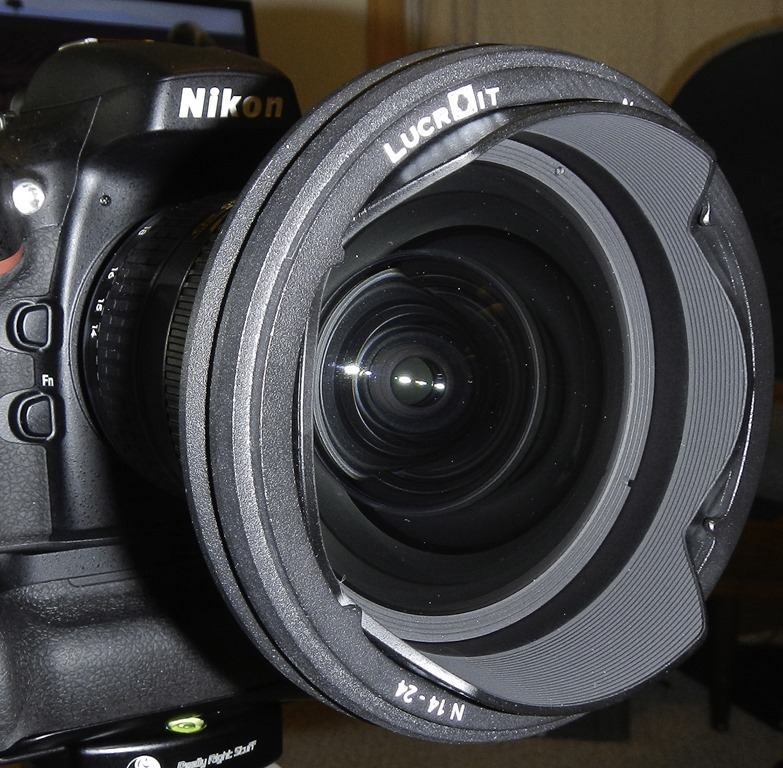 Lucroit adapter ring installed on Nikon D800 with Nikon 14-24 mm wide angle lens. Note adapter ring tabs and lens hood notches. I had some initial concerns with how the adapter ring would work in differing temperature extremes given that the friction for the fit is provided by a rubber ring but I have found that even in the harshest temperatures—and by that I mean frigid cold—the system provides a firm and reliable fit. One thing to make sure of is to have the ring fully seated on the lens as even a small amount of misalignment here will lead to vignetting after the holder is snapped on as a bit of the filter holder frame will find it’s way into the image at lower aperture openings. Once placed properly, vignetting is nowhere to be found and the system can be left on without a filter should you wish to acquire non filtered images. Having used both circular and rectangular filters I definitely prefer the rectangular solutions, however, care must still be taken with the rectangular filters as though the non-glass versions are not prone to breakage upon dropping, they are prone to scratching if not handled carefully. Coming to mind is sliding them into a zippered pocket on the gear bag for quick storage, for example. On the other hand, all too often dropping a glass filter can lead to catastrophic damage in the form of breakage and with an order wait time of up to six months for the Lee Big Stopper, for example, extreme care is the norm, nevertheless, accidents will happen and the odds of having a filter to use after that accident are greatly improved with a non glass filter such as the Formatt Hitech. Lucroit adapter ring, filter holder, and Formatt Hitech 0.6 grad ND filter installed on Nikon D800 with Nikon 14-24 mm lens. Like all things that are worth doing, working with filters takes practice. A ten stop filter has a dramatic effect on the amount of light coming through the lens, that is, it reduces it by about a factor of a thousand, a substantial amount. Fortunately, there are handy charts available to give you a rough estimation of the proper exposure time needed given the exposure time calculated without the filter in place. Another factor to consider is that not all ten stop filters provide an exact ten stop reduction in light. Some may give a bit more, or a bit less, in terms of light stoppage and you will most likely have to do a bit of trial and error to determine the exact nature of your filters light reduction abilities but given today’s digital cameras and the ability to check the histogram as soon as the image is acquired, getting to terms with your particular filter is a simple matter of acquiring a few test images and adjusting the exposure time accordingly. An example of the dramatic effects that can be obtained while using long exposures. Formatt Hitech Ten Stop filter and Lucroit filter system with Nikon D800 and Nikon 14-24 mm lens. My experience with the Lucroit filter holder and Hitech filters has been satisfying and positive and, having tested the filter system on both the Sigma 12-24 mm and Nikon 14-24 mm lenses, the solutions offered by Lucroit and Hitech are definitely Top Shelf material and come highly recommended by this photographer. The author wishes to thank James Baker, Executive Vice President of US Business Development for Formatt Hitech, and Lucroit for their valuable assistance with the filters and systems used in this review. Thank you, Bruce, it’s a great system to use. Is it possible to rotate the holder like other systems e.g. Lee or Cokin? I ask this because the fotodiox wonderpana can only be incremental rotated whats quite an issue. Whats about a polarizer filter, can you use them with the lucroit system? Thank you for stopping by, I appreciate that! The holder will freely rotate completely around without any problem at all. Let me know if you have any other questions, and happy shooting! 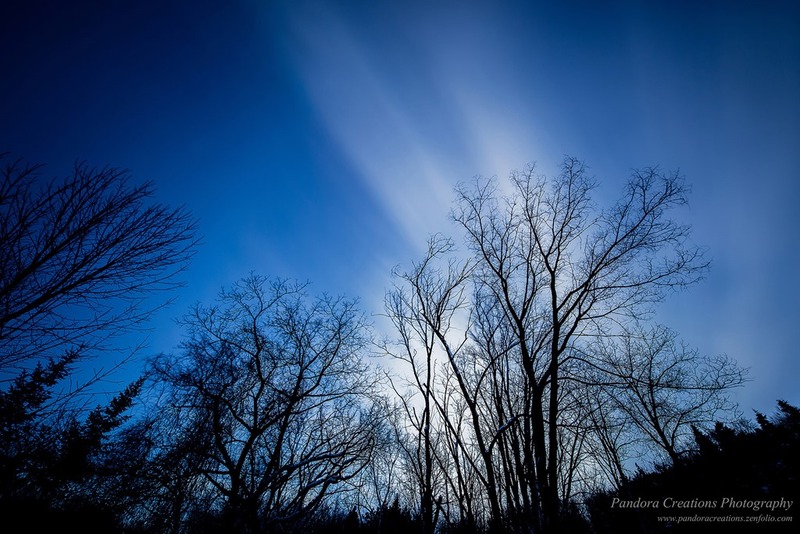 I have been searching for a system to use filters on my Nikkor 14-24mm, and I eventually came to your blog. I first looked at Lee SW-150 and Fotodiox systems. Please correct me if I am wrong, it seems both systems either couldn’t use a 10-stop filter and/or a circular polarising filter. Could you please shed some lights on this? No worries Bob. I just noted that you answered the question with regard to the use of polarising filter. Thanks for stopping by, Jimmy. I hope they get the polarizer soon, I would like to give it a try myself! 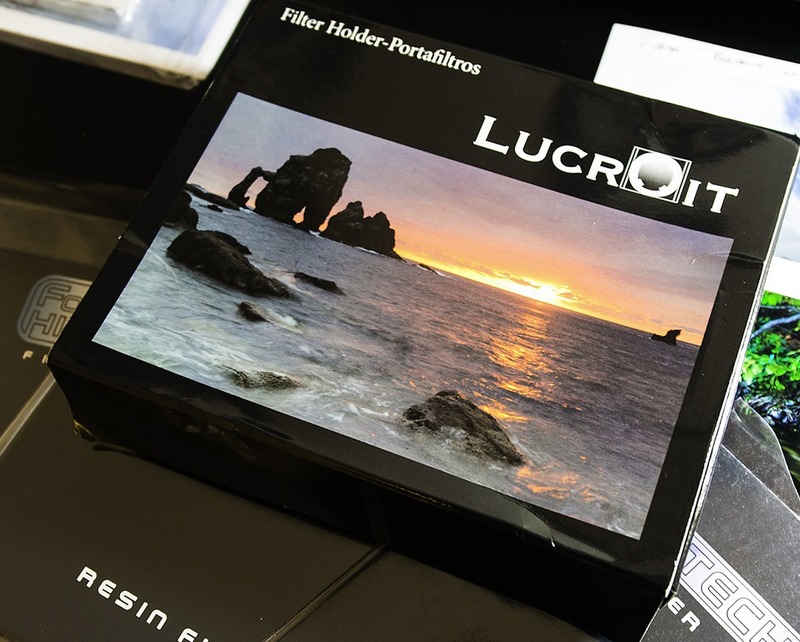 I’ve been using Lucroit filter holder with Hitech/Formatt filters since March of 2013. While I like it very much, I’m very disappointed that the promised polarizing solution is still “under developing”. Polarizing solution was the reason I bought it, but it seems to me they’ve already given up. The only thing I can suggest is to contact Lucroit directly. I was at their site a couple of days ago and it does appear that they do have a polarizer mount, but I’m not sure for which system. Get with them and maybe they can give you some more information.